Our 5 easy steps to getting started with foam rollers, will have you feeling confident and armed with lots of tips and tricks. Start releasing that tension today. Foam rollers can be great for helping you to release tension, rehab after an injury, improve flexibility and ultimately improve sporting performance. You’ll often find them in gyms and sports centres. Foam rollers are firm foam cylinders, or wider, foam clad drain pipes. You may have seen foam rollers and wondered what do I do with that? I’ve tried using one and wasn’t sure I was doing it right. Maybe you even feel a bit embarrassed at the weird and wonderful positions you can get into using one! Foam rollers aren’t for the faint hearted. But don’t worry we are here to guide you through how to use them correctly, as an effective self-help tool you can use in the gym or in the comfort of your own home. You can buy one from your friendly local Osteopath (that’s us) – so no more gym foam rolling embarrassment. Perfect the art at home. The technique is quite simple. The foam roller is used to apply pressure (by leaning or lying on it) to trigger points within your muscles or connective tissue. Think pressure not “rolling”: Roll on the foam roller intuitively to find the “sweet spot” – where there is a knot or tension in the muscle. It should feel like a “good pain” / therapeutic pain. Once you’ve found this spot, don’t roll over that point but rather keep pressure on it with your foam roller. Hold for 20-30 seconds or until you feel the muscle relax and “sweet spot” ease. Don’t be a hero though, self-massage with a foam roller, is about therapeutic benefit, not proving how high a pain threshold you have!If it feels like “bad pain” or a trigger point is very sensitive then STOP. Slow and Steady: Avoid rolling too fast and putting too much pressure on the muscles too soon. If you’re too fast your nervous system won’t have enough time to adapt and allow for a response to occur. It will just be uncomfortable and without the benefits. Less is More: Spend no more than 20-30 seconds on each area. Spending too long on an area can cause discomfort, negate any therapeutic benefit you may get, and actually cause further damage. If something is too sensitive, you’d be better moving onto another area and coming back to it on another day. The chances are it is likely to feel easier to work on when other muscles around it are loosened. Little and often: Too much foam rolling can overly stress your muscles. You are better doing foam rolling more regularly at lower intensity than doing too much too quickly. Why do I need to use foam rollers? Exercise and repetitive activities can cause tension to build-up in our muscles, which can often cause our muscles to become sore. 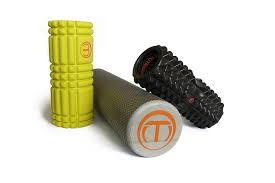 Foam rollers can help to break up adhesions in tight muscles and improve blood flow to over worked muscles. They can aid your recovery by restoring muscle function and flexibility. It’s not just for not just for those who do regular exercise or need to rehabilitate from injury. This type of self-massage, with foam rollers, can also be used to help release tension that you build up from postural strain or repetitive activities, such as sitting at a desk using a computer for long periods. Sore spots or “knots within a muscle that may refer pain or discomfort into other areas, can be referred to as trigger points. Trigger points can occur for due to several reasons. Muscle injury, repetitive strain, deconditioning, poor posture, muscle imbalances, poor flexibility, stress, dehydration and poor nutrition are all possible causes. If this is all sounding familiar then read on to learn how you can help yourself by releasing them with foam rollers. Don’t Roll The Iliotibial Band (ITB) This is a thick band of connective tissue that runs down the outer thigh from hip to knee. It often feels tender to pressure. 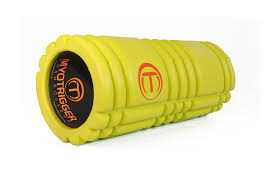 The ITB is NOT a muscle, so foam rolling directly onto it will not cause it to relax. To help reduce tension in it, you are best foam rolling the muscles around it such as the front and back of the thigh (quads & hamstrings), and buttock area (gluteal muscles). Don’t Roll Your Lower Back Rolling onto the lower back can cause people to over arch the low back, which can exacerbate back pain. Watch Your Technique Using a foam roller can require a certain amount of strength and balance, so avoid over straining yourself. If in doubt, ask a professional to help. Below is one our Osteopaths showing a demonstration of how to use a foam roller to help loosen some of the hip musculature…just tap play! For more specific demonstrations on the foam rolling technique take a look at Rehab my Patient through you tube – lots of really simple exercises to try for all parts for the body. Don’t have a foam roller? You can now buy foam rollers direct from Cheadle Osteopathy. 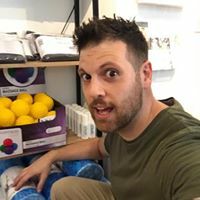 We stock high quality foam rollers and spikey balls to help with self-massage, easing those tensions in your muscles and supporting your recovery. Getting you back to the living the life you want to, more quickly. If you need help knowing what are the best exercises to ease your pain, or are finding it difficult to release tension or recover from injury through self-management, then book an appointment and let us take a more detailed look and put together a bespoke exercise and rehab plan for you. DISCLAIMER: If you are suffering from any ongoing pain or discomfort or have any injuries you are concerned about, we would always recommend consulting with a qualified healthcare professional for an assessment such as an Osteopath, Physical Therapist, or GP. If you are unsure about the technique of foam rolling and self-myofascial release, we would also recommend consulting with your Osteopath, or physical therapist, to receive guidance on the technique and advice on whether it is suitable for you.